OnStar is nothing short of a high-tech setup — and, as you would expect, has a slew of practical technology and knowledgeable staff that assist drivers every single day. One of the tools OnStar keeps under observation at its three 24-hour, 7-day-a-week North American call/data centers in Pontiac, Michigan, Charlotte, North Carolina and Ontario, Canada are the call location displays. The displays tally the amount of OnStar interactions — such as blue and emergency button presses as well as automatic crash response signals — and place them on a map. 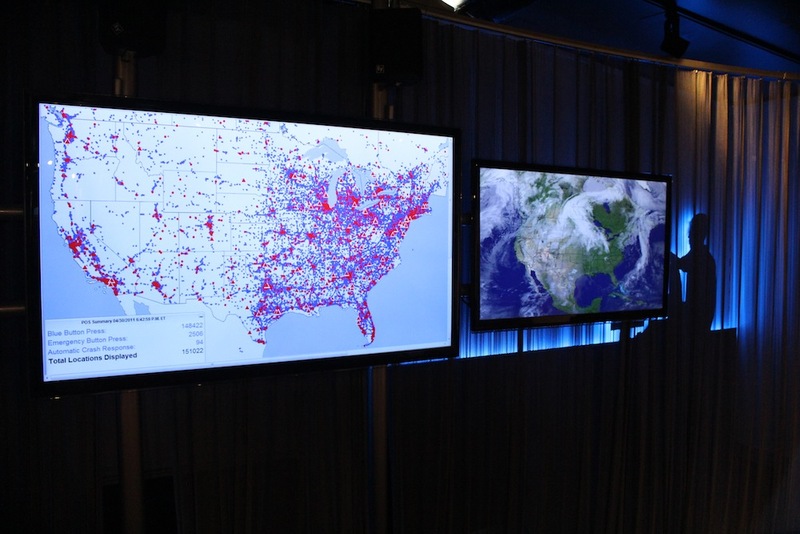 The count and maps are reset every day and allows OnStar to gleam interesting data on comprehensive traffic trends, travel patterns, and the overall status of the interstate system. Pretty cool, huh?